You won't know how you ever got along without this board once you have it! 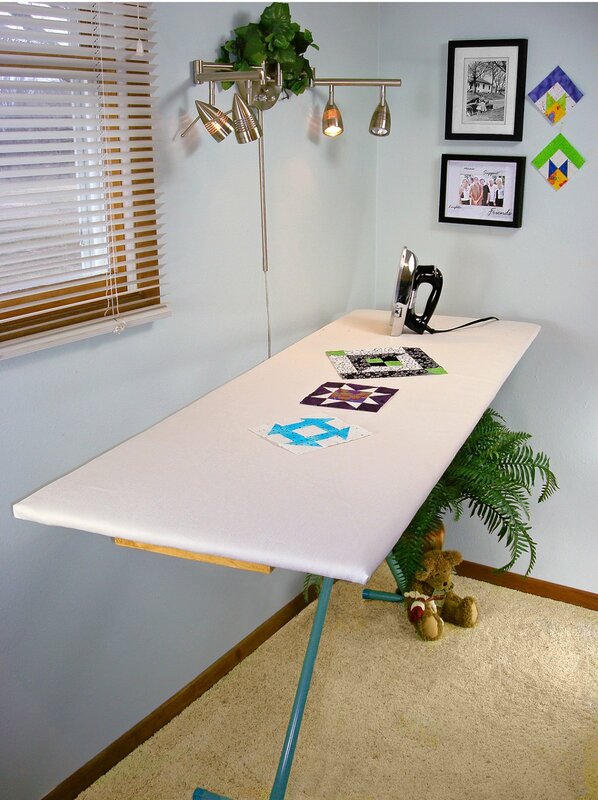 You're going to LOVE this ironing board top. It fits securely on top of a regular ironing board and lifts off easily if it needs to be stored. Or if you need your regular ironing board for something else. Pattern includes diagrams to help with constructions. Take the pattern to the lumberyard and ask them to cut the size board you need. Couldn't be much easier!